IFA is usually the time of the year when you can expect several new gadgets to grace the face of the Internet (and then the world a little later down the line), and this year is no exception. Acer today unveiled a new smartphone that will be able to take full advantage of Windows 10 Mobile’s Continuum feature and seamlessly shift between mobile and desktop modes. 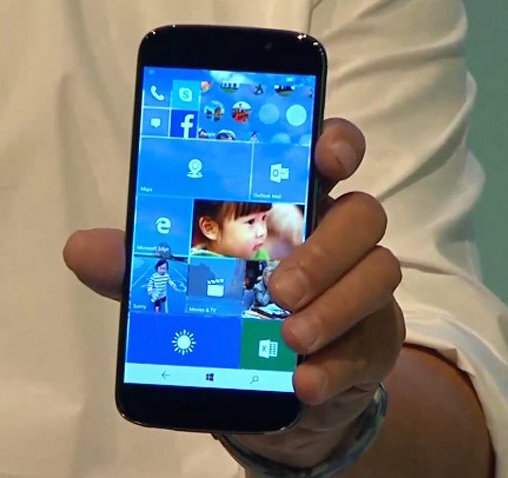 The device, which has been named Acer Jade Primo (weird, right? 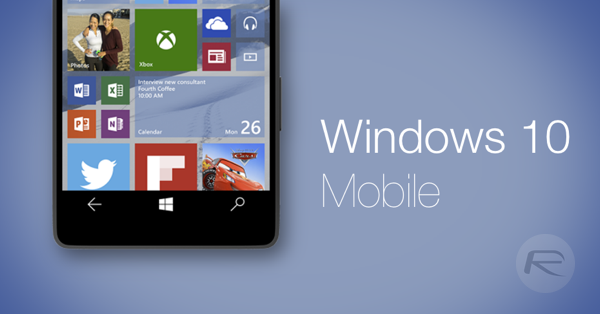 ), will ship with Windows 10 Mobile onboard and will be able to change its otherwise touch-friendly mobile operating system to desktop mode as soon as it is connected to the supplied docking station (shipped with the device). Pull it off again, and it goes back to being the comfortable mobile device that it was meant to be. In case you’re wondering, Continuum for Phones is a new feature that Microsoft debuted with Windows 10, which basically allows the operating system to scale itself appropriately for the kind of display that it’s connected to. 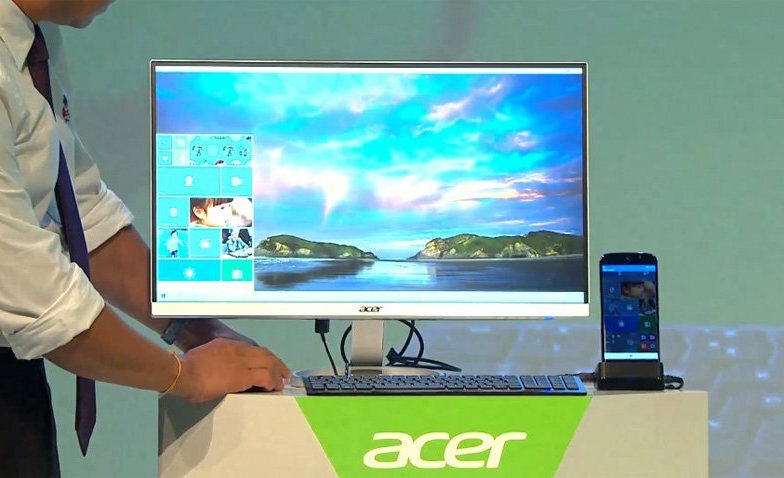 In the case of Acer Jade Primo, this larger display is an external monitor connected to the phone’s docking station, which will change the display to a Windows style desktop with a complete Start menu, allowing usage of Universal Windows Apps in desktop mode. It’s worth noting that we used the term “Universal Windows Apps.” That’s because Jade Primo will be able to run only those in desktop mode, and anything that was written for legacy x86 processors will not work. This is unfortunately also one of the biggest drawbacks at the moment, since there aren’t a lot of good Universal apps out there right now, and the true power of all computing in one device comes through being able to run legacy apps, not just specific ones. Other specs of the Jade Primo include a Snapdragon 808 processor, a large 5.5 inch display, docking station for connecting external display, a wireless mouse and keyboard in the package, and a shooter that boasts 21MP on the back and 8MP on front for selfies. So far, while Acer demoed the phone at IFA during its press conference, they have neither provided any estimated availability date, nor pricing.